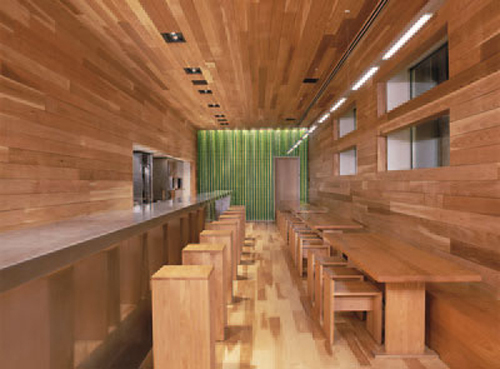 Recently team BUILD spent some time in the windy city for our Tree House project that’s moving around the nation. We’ve since compiled our homework and we’ve got a tight list of cool spots to check out in Chicago. Today’s post highlights some favorites (both new and old); the full roster has been compiled in an easy to reference PDF which can be downloaded here. Tell us what you like, where we missed the mark or what’s on your list. Signature Lounge on the 95th floor of the John Hancock Tower at 875 North Michigan Avenue designed by SOM and completed in 1970. Hand’s down our favorite view in Chi-town. Skip the Sears tower (er, Willis Tower) and get a spectacular view and a couple of drinks for the same price. 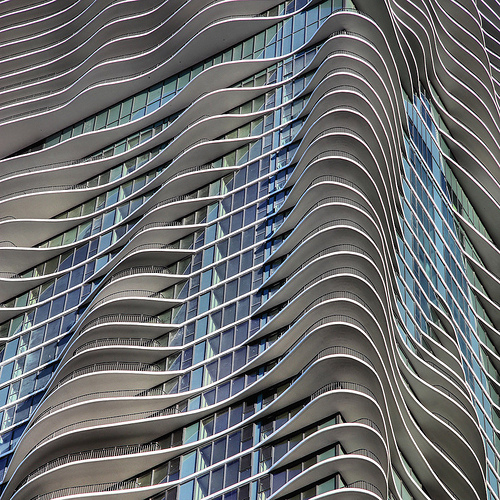 Aqua at 430 E Waterside Drive by Studio Gang. This one kept our attention throughout the day with the varying light conditions and different perspectives. Avec at 615 W. Randolph Street designed by James and Kutyla Architecture. 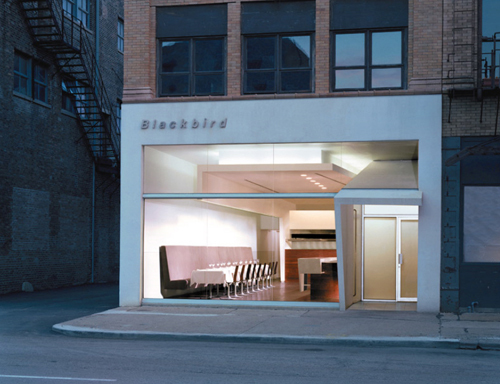 Blackbird at 619 W. Randolph Street designed by Thomas Schlesser. 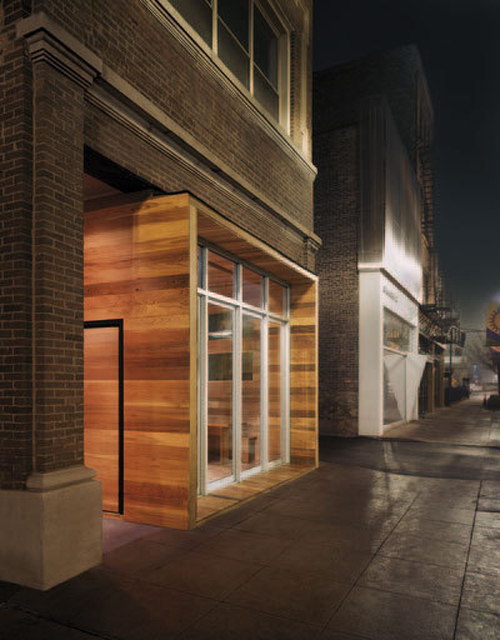 Publican at 837 W Fulton Market designed by Thomas Schlesser. The Art Institute of Chicago at 111 South Michigan Avenue originally designed by Shepley, Rutan and Coolidge in 1893 for the World’s Columbian Exhibition. 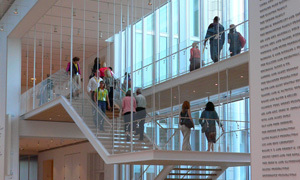 The modern wing was design by Renzo Piano Building Workshop and competed in 2009. 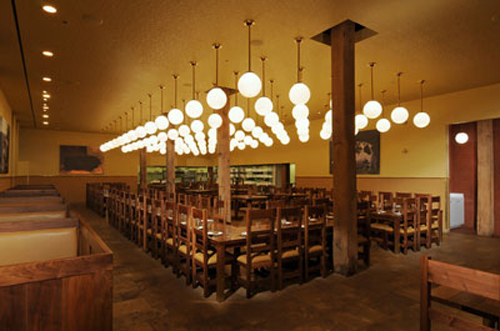 Check out our more thorough review of this fantastic building here. 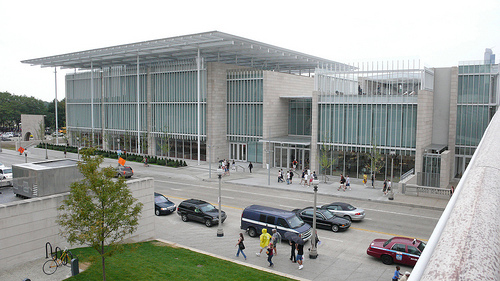 McCormick Center at 3201 S State St on the IIT campus by OMA. 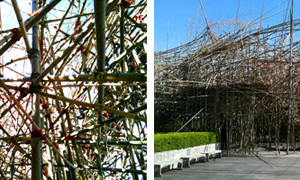 This building was an all-out attack on the senses and we loved every minute of it. 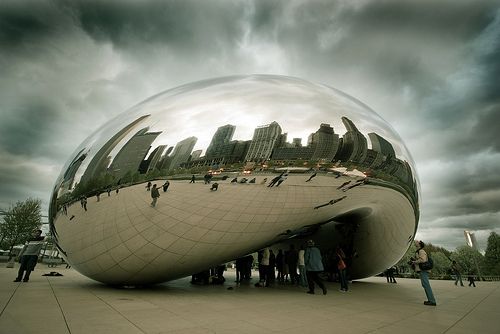 Cloudgate sculpture at 201 East Randolph Street, Millennium Park by Anish Kapoor. Gorgeous and wonderful. 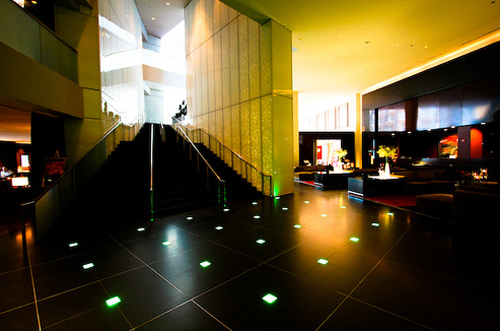 Sofitel Chicago Water Tower at 20 E Chesnut Street designed by Jean-Paul Viguier. The Rookery Building at 209 South LaSalle Street designed by Burnham & Root in 1888 with the lobby later remodeled by Frank Lloyd Wright in 1905. Let’s face it, we’d be delinquent not to include at least one of the more traditional architectures that Chicago was founded on. 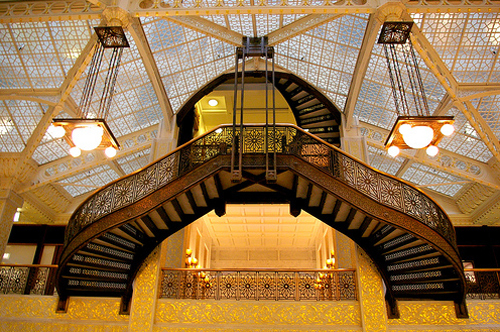 The Rookery is one of our favorites because it’s accessible and drop-dead gorgeous. For recommendations on additional cities check out The Modern List. 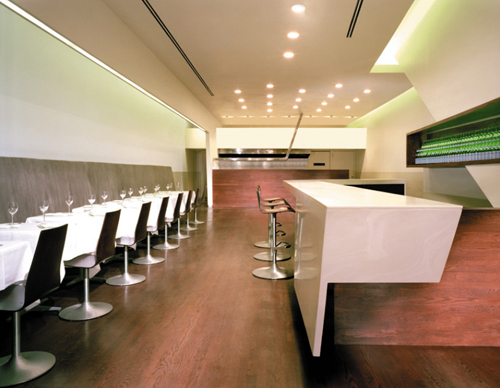 For restaurants I would add Terzo Piano to your list. It’s the restaurant at the top of the Art Institute and it’s a wonderful space. 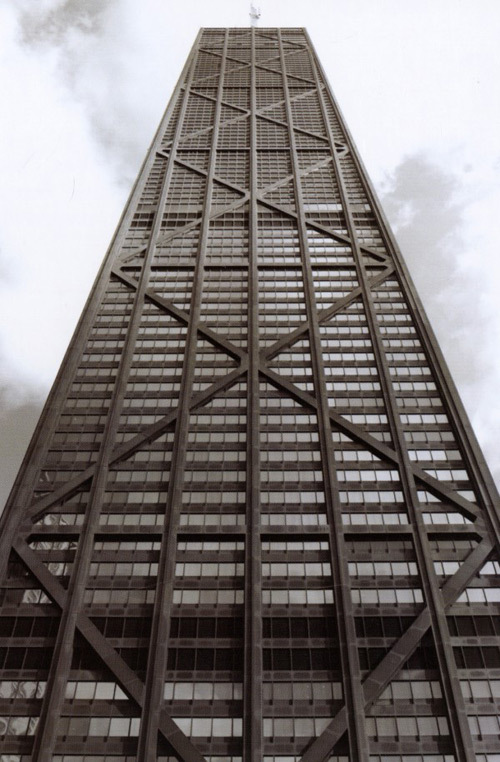 While it’s a bit touristy I’m surprised that the Willis (Sears) tower didn’t make your list. 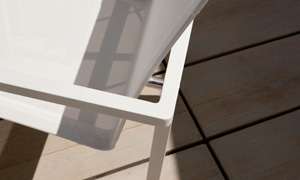 It is still, after all, an icon of modern design. Looks like you got around to a lot of spots I haven’t seen yet, thanks for the tips! Next time you’re in town check out Wicker Park – lots of cool bars, restaurants and shops. @ CG – Good rec, we actually ate lunch there and it’s an inspiring space. Just plain forgot to add it. @ Kim – yeah the Sears tower probably should be on the list. Stay tuned. @ Ariel – thanks but the photos above are the skillful work of other photographers – noted in the caption under each photo and hot-linked where applicable. did you guys make it to harold’s or intelligentsia? Since I (Andrew’s mother) grew up outside of Chicago, and his grandmother attended the Art Institute, and grandfather worked in the Loop for 40 years, you’d think I’d know all about the city. Not so! 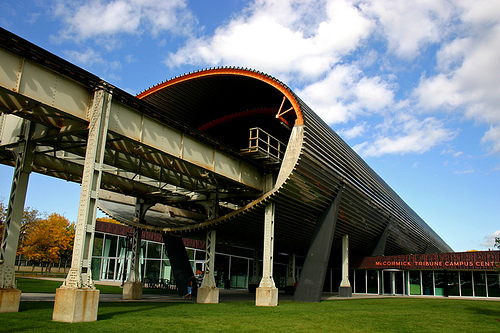 It’s amazing to see Chicago through the eyes of persnickety design-types. I’m impressed. Blackbird – My personal favorite, it stopped me mid-scroll. 1/2 Buidling 1/2 beautiful picture. avec and bb are tasty spots as well.